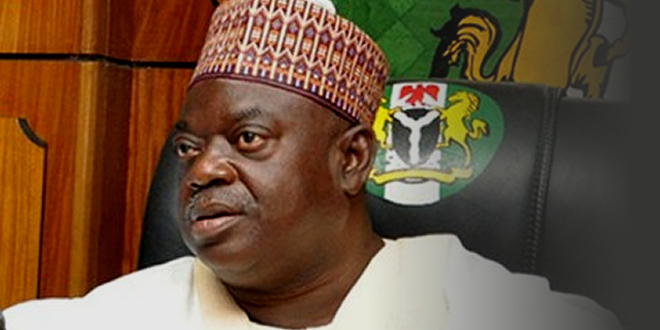 The Federal High Court in Minna, Niger State, has ordered the interim forfeiture of some assets belonging to a former governor of Niger State, Babangida Aliyu. The Punch on Tuesday obtained the Certified True Copy of the court’s order made on June 27, 2018. The document showed that the forfeited assets comprised two duplex houses in Minna, a farmland with 12 chalets and four resort buildings at Birgi Minna, and the sum of N57m, all of which the Economic and Financial Crimes Commission said were linked to proceeds of crimes the former governor was being prosecuted for. Justice Yellim Bogoro, following an application filed by the EFCC, ordered that the assets would remain temporarily forfeited to the Federal Government pending the trial of Aliyu and his co-defendant, Mr Umar Nasko. Both men are being prosecuted before the judge by the EFCC on charges of conspiracy and diversion of over N1bn ecological funds which the state was said to have received from the Federal Government in 2014.